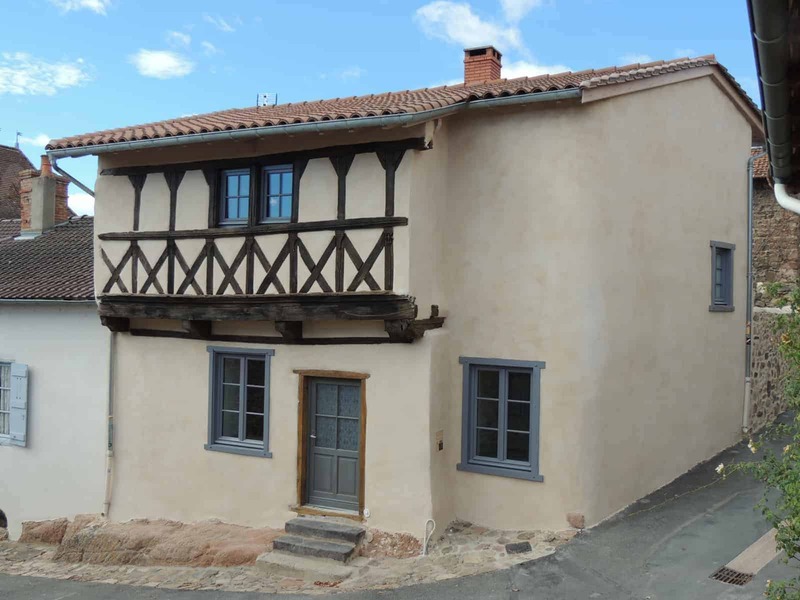 This half-timbered house, currently under renovation, is one of the oldest houses in the village since it dates from the late 15th century. 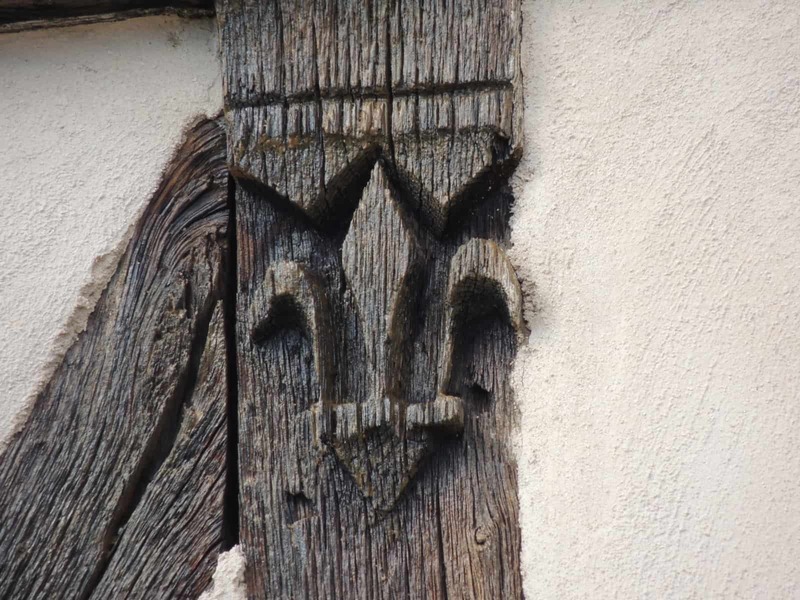 Very simple, its only decoration comes from a stylized fleur de lys carved on the last stud of the half-timbering. 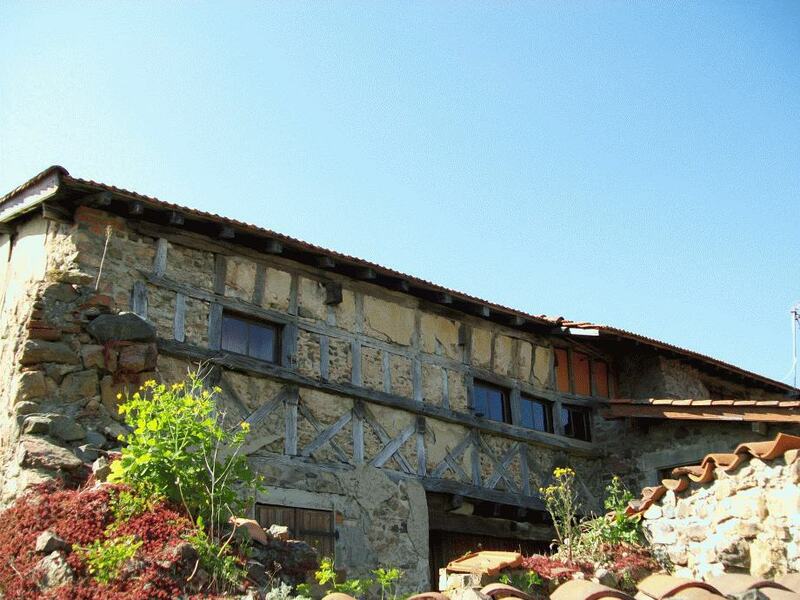 Pan-de-bois (or timber-framed) constructions are also referred to as “half-timbered”. This is an ancient technique that was already used during ancient times. The principle is simple: an assembly of wood is the backbone of the house, real building games whose interstices are filled with mud, mixture of straw and clay, or other components depending on the region. 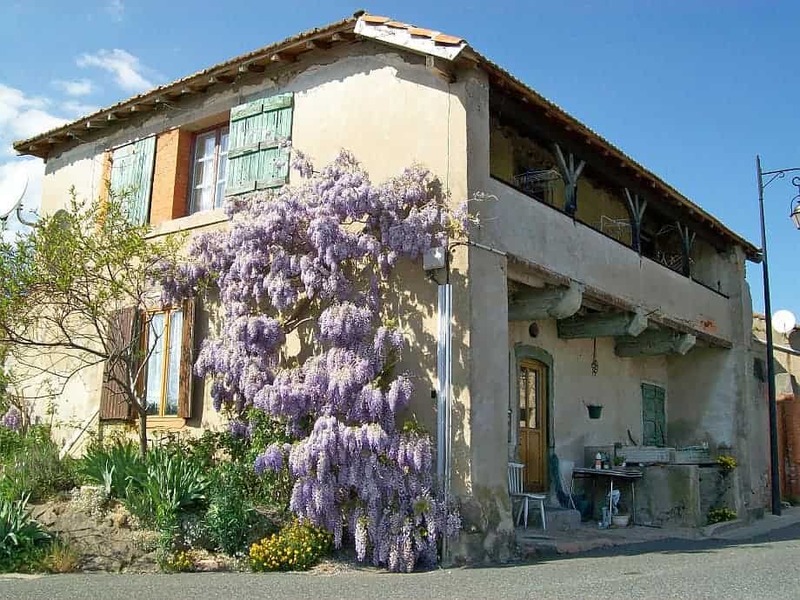 Most of the time, the chestnut tree is used because it is very resistant to xylophagous insects. In our countryside, many wooden walls have been covered with plaster, making their identification difficult.